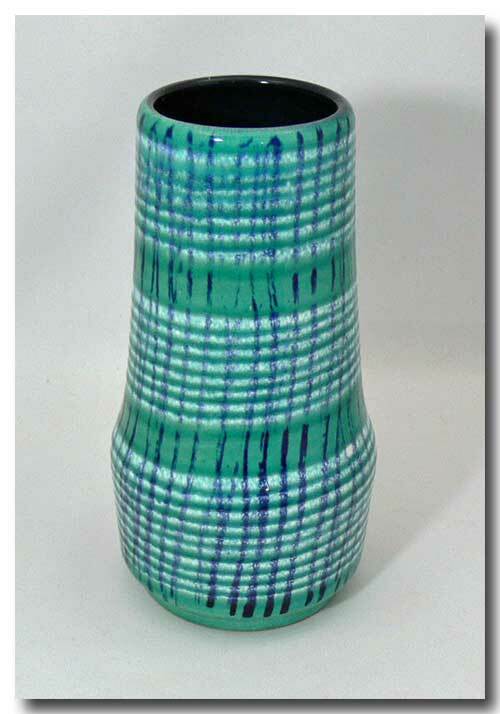 This beautiful turquoise Scheurich vase dates from 1963 and has been designed by the famous designer Franz Karl. 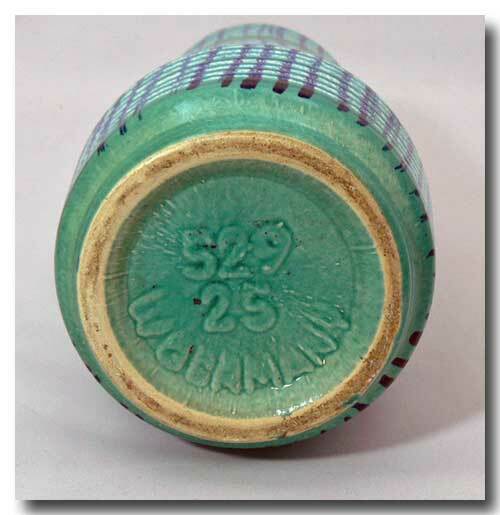 The combination turquoise background with blue and white stripes results in an overall great appearance. Condition: Excellent with no cracks, chips or crazing.